At vacant sites, second hand spaces draw on the atmosphere, the traces, the remains, and the history of their previous uses. Their actors develop an individual aesthetic out of the site that stands out due to its simplicity and improvised quality. New ideas are tested and elements of surprise are created in the city. Second hand spaces evolve against the background of different demands on urban spaces and provide opportunities for interaction, participation, and start-ups. They open up new courses of action for urban planning and at the same time make a contribution to the sustainable design of urban change. 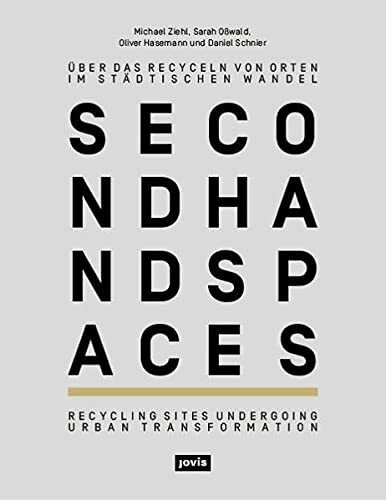 In nine essays, twenty-seven experts highlight the backgrounds, actors, and effects of second hand spaces based on fifteen projects from Europe, resulting in thematic links to current social discourses throughout the book.